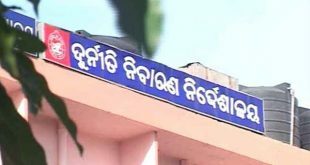 Bhubaneswar: The Odisha Vigilance department has registered 37 cases and arrested 9 accused till date for irregularities in rural housing projects in the state. Vigilance DG R.P. Sharma said they have arrested nine persons in irregularities in rural housing projects so far while total 37 cases have been registered in this connection. The probe is being conducted into 76 allegations and 48 complaints are being verified, he added. The special drive has been initiated with the objective to contain and minimise corrupt practices in the rural housing schemes. Out of the cases registered, 8 cases are from Sambalpur while 7 from Berhampur, 6 cases each from Bhubaneswar and Cuttack and 5 each from Balasore and Koraput. 42 Panchayat Executive officers, 4 Gram Panchayat Technical Assistants, 4 Junior Engineers, 1 SI of School, 1 Progressive Assistant, 2 Welfare Extension Officers have been named as the accused in the FIR registered in the cases. Out of the 411 cases in the rural housing schemes till date, an inquiry has been conducted on petitions in 45 cases and surprised checks were conducted in 196 cases. 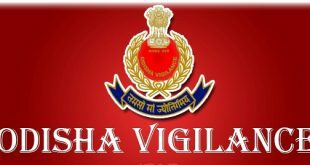 The Vigilance department has also issued 7 helpline numbers to receive complaints and tip-offs about bribery and corruption in the rural housing schemes and others. “People can inform the vigilance about any PC transaction for the housing projects under Pradhan Mantri Awas Yojana and Biju Pucca Ghar Yojana by dialling the phone numbers 0671-2305682, 2305988 and 0674-2397748 and 2282300,” said Sharma. He assured that the name of the informer will be kept secret. The telephones are in operation from 8 AM to 8 PM.